The Vision is trying to be human. He has an android wife and two kids. Sometimes, just like regular folks, he’s going to get phone calls while he’s at work. 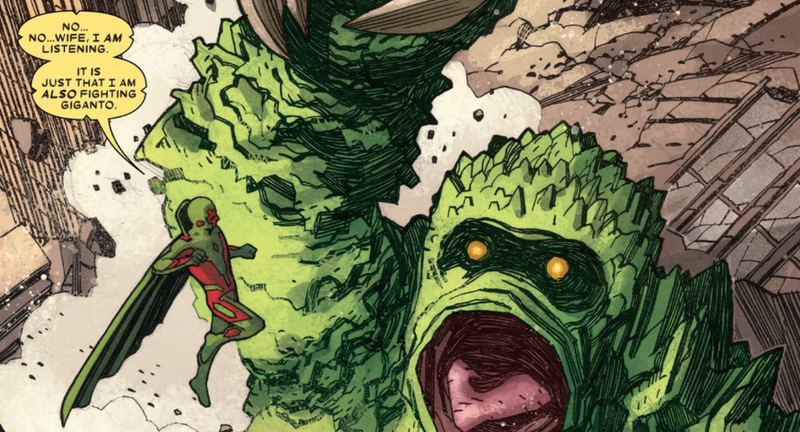 Rather than write something that tries to explain why The Vision is maybe the best comic Marvel is putting out right now, I’m going to try and show you. These two pages are from Vision #4—by Tom King, Gabriel Hernandez Walta, Jordie Bellaire and Clayton Cowles—out this week from Marvel. Been there, Vizh. I have so been there.